Game of Thrones Season 8 is officially three months away. HBO had previously confirmed that these final episodes would be arriving in April. Now, they have announced the big date everyone was waiting for. HBO aired a new tease for Game of Thrones last night, which announced Sunday, April 14 as the debut date for the show's six-episode, eighth and final season. As in previous seasons, the series will air at 9:00 p.m. (ET/PT), exclusively on HBO. The tease was directed by David Nutter, who won an Emmy® in 2015 for the season five finale (Mother's Mercy). HBO finally announced the big premiere date during True Detective Season 3, which had its series premiere last night. This marks the longest delay between seasons, with fans thirsty for any new footage. 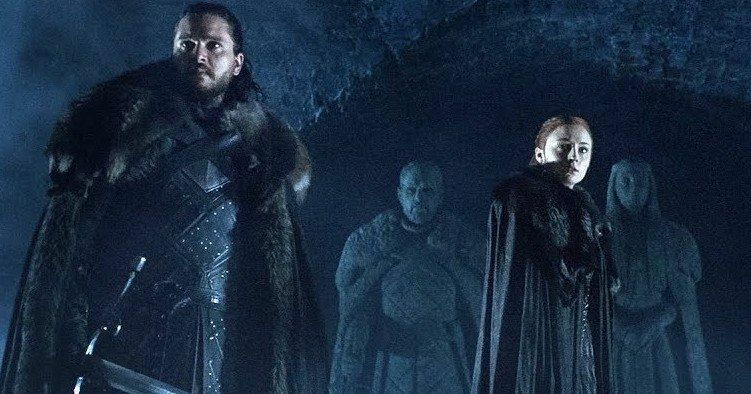 The wait will be worth it, as HBO boss Richard Pleper recently stated that each of these final 6 episodes is like its own self contained movie, promising a truly epic ending for one of the most watched series of this decade. The CEO even attempted to make a few fans jealous, boasting that he'd watched these new episodes multiple times, and that even without CGI he was in 'awe' of each and every minute that played out screen. Game of Thrones may be shortened to 6 episodes for its final season, but each one will clock in at close to 90 minutes or more. So far, no real plot points have been sullied at this juncture, so it will all flow as fresh and clean as can be. It has previously been confirmed that Sansa and Daenerys will unite, but it can't just be that easy. Each Game of Thrones Season 8 episode reportedly cost upwards of $15 million to make. This is a dramatic increase of $10 million from the typical episodes seen in seasons past. That is just an estimate, though based on the entire budget for the season. A lot of that money is going directly to the core cast that has managed to stay alive this long, and the value will be represented in their acting, not so much the effects and action that will play out on screen. There will be at least one fight seen that runs over 45 minutes and is said to be bigger than anything witnessed in the Battle of the Bastards. HBO released the cryptic Game of Thrones teaser, which brings the cast together for a true teaser that unites the Starks.